San Francisco investment firm H.I.G. Capital has acquired Warren’s Lipari Foods from Connecticut-based Sterling Investment Partners and other unnamed shareholders. Terms of the transaction were not disclosed. 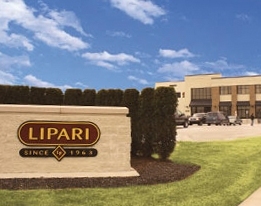 Founded in 1963, Lipari has 1,500 employees and is a leading distributor of perimeter-of-the-store, specialty, and branded food products. It serves more than 13,000 retail locations in 14 states throughout the Midwest and beyond. H.I.G. says it is partnering with the Lipari family and the current management team to grow the company’s distribution and manufacturing platform. Lipari’s more than 25,000 products are found in the deli, bakery, dairy, specialty retail, seafood, packaging, confections, ethnic, and organic categories, including a wide selection of largely perishable on-trend, perimeter-of-the-store, and specialty products. It generates approximately $1 billion in net sales annually, serving customers from its 725,000-square-foot distribution and food manufacturing facility in Warren.